Having that one eccentric person in our lives makes it all seem that bit more interesting. It could be a far away relation that appears at the holidays adorned with homemade gifts, the teacher who insists on wearing a full-size top hat to every class, or the yodeller down the hall that wears clogs in everyday life. Whoever the unique personality is in your life, it’s safe to say that they make day to day life interesting. Hollywood is no exception to the wonderful over the top characters and mind-boggling individuals in this world. One actress with a unique personality is Helena Bonham Carter who is known for playing over the top roles, as well as promoting the movie “Avatar” (that she wasn’t even in) instead of her own ‘Alice in Wonderland’. Angelina Jolie is another on the list as she has a collection of blood from her ex-partners, as well as having tried nearly every narcotic there is. And what list of eccentric individuals would be complete without Shia LaBeouf who has done, well, just about everything. From wearing a paper bag on his head to an awards ceremony to creating that memorable video, Shia sure does come in the eccentric category. However, there is one man that also deserves to be on the list. But not only this list – he would top out on one for being one of the most sought-after and hard working actors in Hollywood too. That man is Nicolas Cage. He has been credited in a staggering 91 films over more than three decades in the acting world. But with his strange habits and purchases, Nicolas Cage is a man that is hard to take your eyes off. He has given us some of the most memorable movies of all time as well as some of the most recognized faces! So how did the man make it to where he is today? 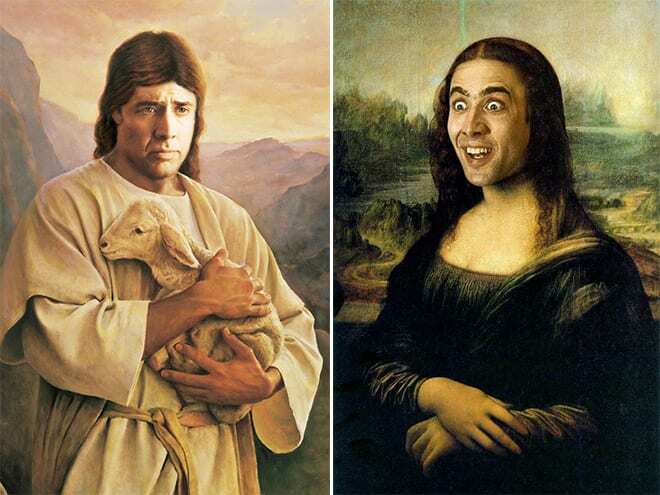 Well, with a family like Nicholas Cage’s it isn’t hard to see how he is who he is. That doesn’t mean that life has always been easy for the actor though. With troubles lurking on the horizon, it appears as though life for this Hollywood superstar could soon be making a drastic change. Cage had many relative that worked in film, mainly directors, who gave him an excellent insight into the industry. His most influential association was uncle Francis Ford Coppola – a director who worked on blockbusters such as The Godfather and Apocalypse Now; when growing up, Cage would often visit him on-set. Cage discovered his love for acting at just 15 years old after he had enrolled in a summer school at a theatre which lead him to drop out of high school to pursue a life of acting. 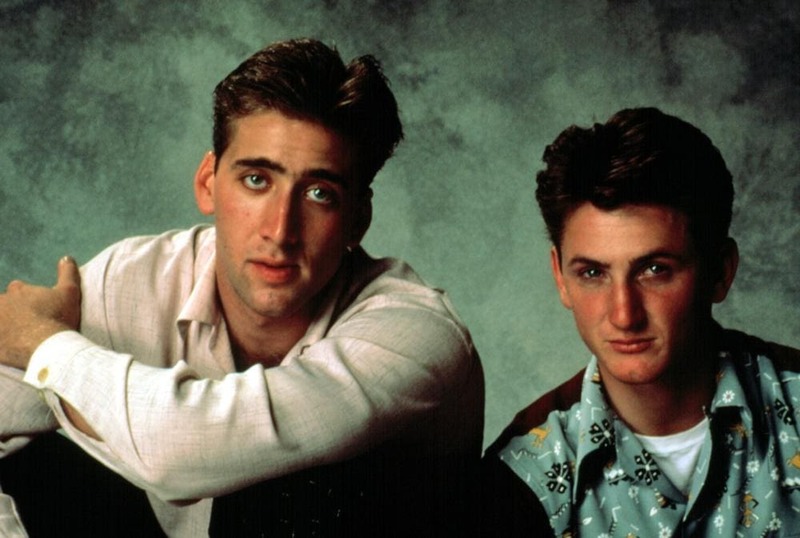 As well as having his many relations for inspiration, Cage has also admitted that when he was growing up, he wanted to be like the actor James Dean. He has spoken of how his performance in movies affected him emotionally like nothing ever had before. It was around this time he decided to change his last name to Cage and would break into the world of Hollywood without the help of his family name. The surname came as a nod to the superhero character Luke Cage. 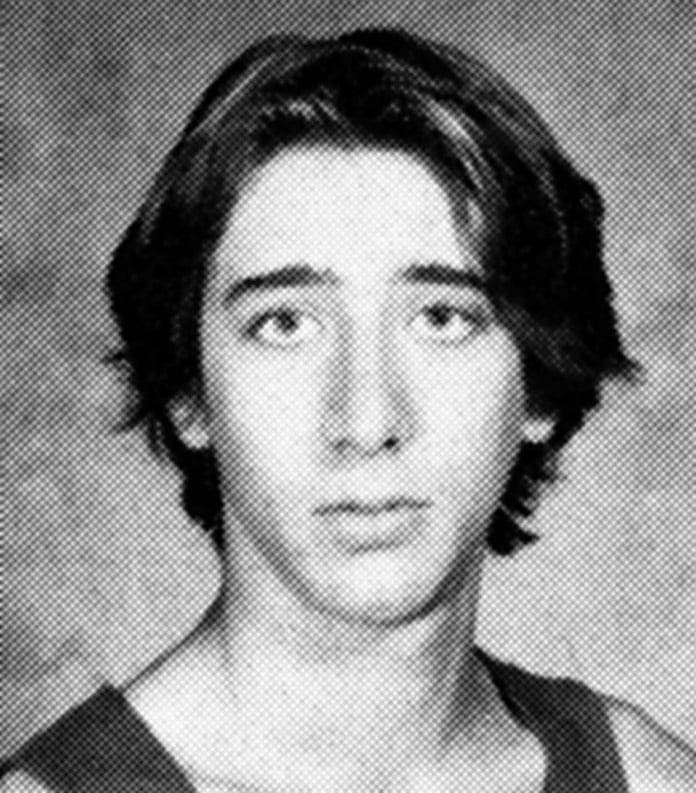 Cage’s first film role saw the 18 year old feature in Fast Times at Ridgemont High in 1982 where he got to act alongside Sean Penn. However, his first serious role wasn’t until a couple of years later when he starred in the drama Birdy alongside Matthew Modine. The film was a huge success and won many awards following its release. Cage began taking his acting to the next level as it is reported he had two teeth pulled for the role in the film. As well as going as far to have his teeth removed, Cage soon gained a reputation for getting into characters intensely, so he portrayed them just how he wanted. After the success of Birdy, the film Racing With the Moon was released the same year. It was another drama movie and saw Cage acting alongside Sean Penn once again. 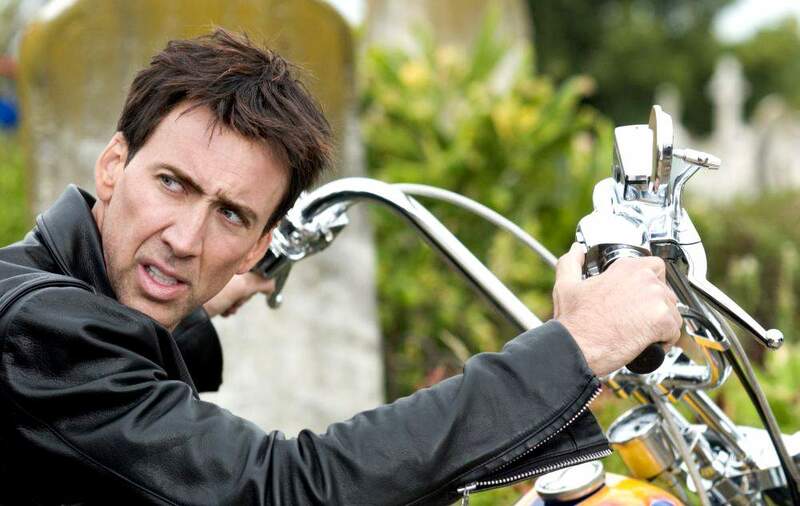 For the role, Cage is reported to have slashed his own arm to play the character of Nicky. Over the next few years, Cage continued to land role after role. During 1988 Nicolas Cage and Christina Fulton, a fellow actor, began dating. The pair had a son together two years into their relationship. Weston Coppola Cage was born on December 26, 1990. The relationship, however, didn’t last. It also didn’t end on a good note as the couple have been publicly arguing ever since the split, especially concerning their son’s welfare alongside where he should be living. 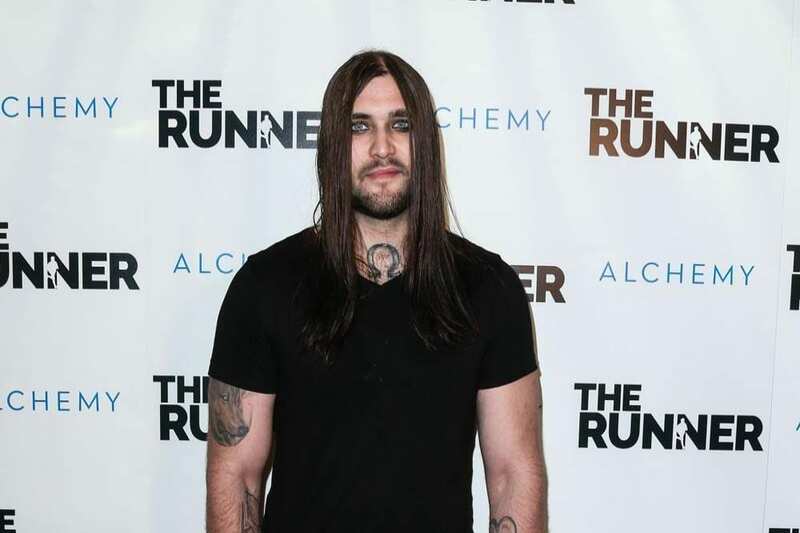 Weston has gone on to become the lead singer of a successful black metal band. 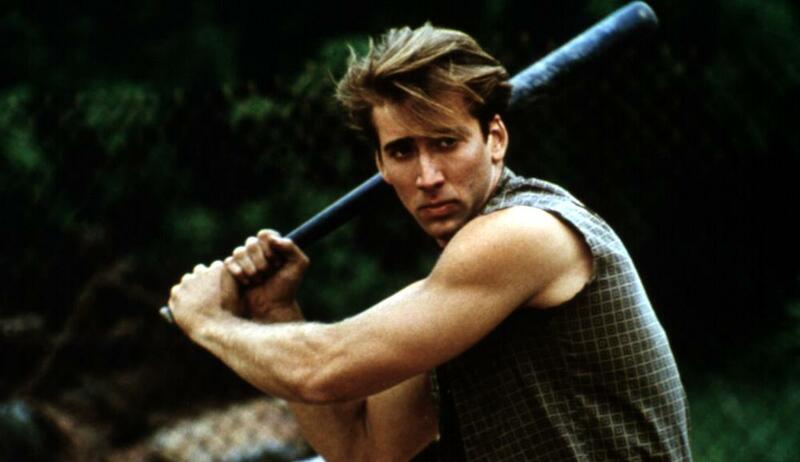 In 1992 Cage got another chance to prove how far he would go for a role in a movie. 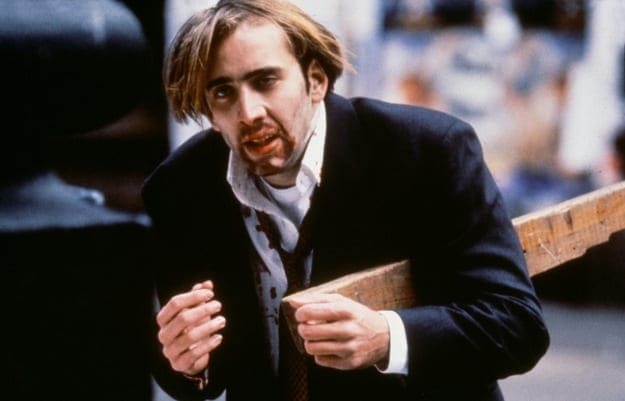 The film Vampire’s Kiss was released in which Cage swallowed a cockroach while it was still alive. The dark comedy initially didn’t do well at the box office but has since gained a cult following. This appeared to be the first time Cage had struggled to get rave reviews for a movie of his, so he was left with a lot of making up to the audience to do. The same year, 1992, Honeymoon in Vegas was released. 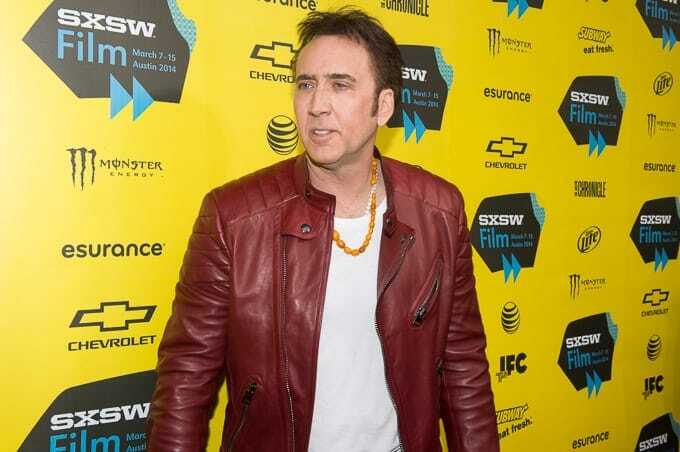 Opting for a rom-com, Cage was able to win over the critics as the movie was a modest success. His growing popularity meant that by 1994 the actor was estimated to be earning $4 million per movie, but showed his true dedication in Leaving Las Vegas. 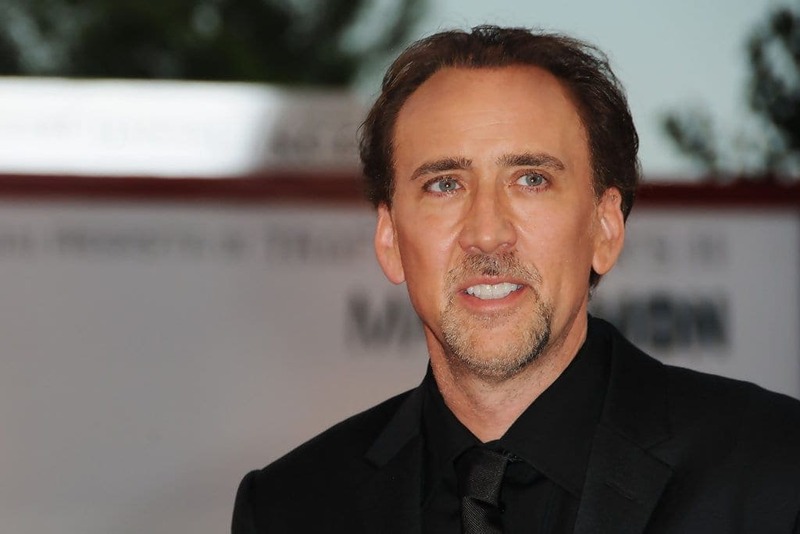 Cage accepted a paycheck of $240,000 after he fell in love with his role. It all paid off for the actor as he was awarded his first Oscar and Golden Globe Award. 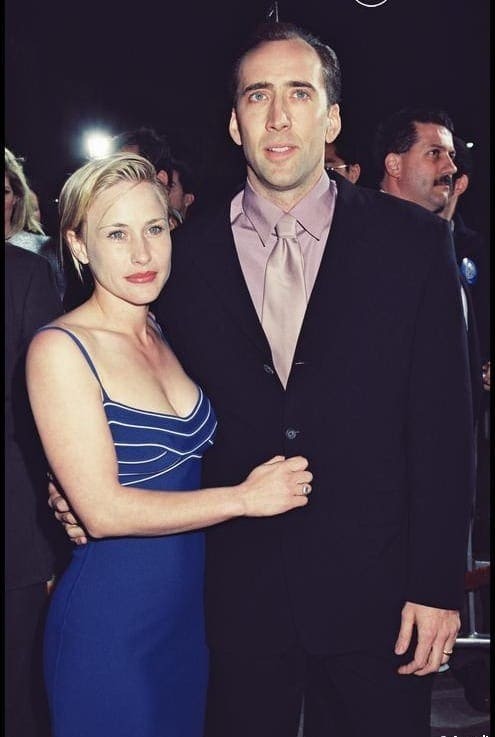 Nicolas Cage and Patricia Arquette were wed in 1995 after Nicolas had proposed the first day he met her. Patricia set the actor a challenge to fetch her a black orchid and JD Salinger’s autograph before she would say yes. Nicolas was successful, but the first wedding was called off after the couple had an argument at the airport on the way to the ceremony. Years later Patricia proposed to Nicolas where they had first met. The pair were married within two weeks. The couple had a rocky relationship as it has been reported that a lot of the time they were married they were both, in fact, living in separate homes. They were often seen away from each other, but Patricia has stated this was merely due to the fact they would be working on different films. However, there was a rumor that the couple split up after only nine months together which has been disputed by the pair of them. They did, however, officially divorce six years later in 2001. 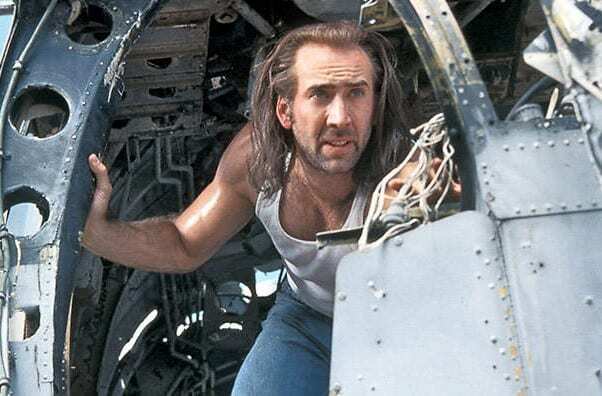 During his time married, Cage was able to star in a number of blockbusters, including ‘The Rock’, ‘Con Air’, and ‘Face/Off’ that saw him working with superstar John Travolta. 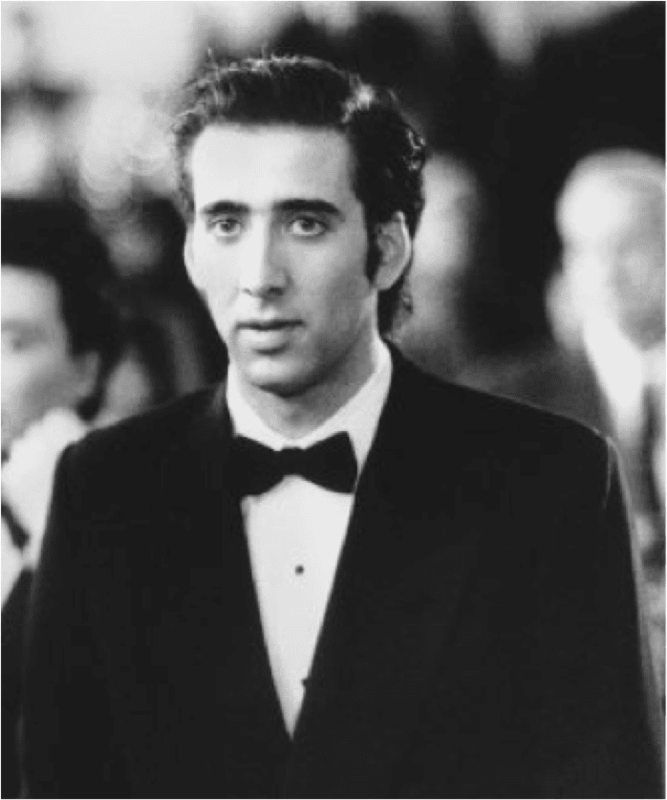 During 1999 Cage starred in ‘8mm’ which was an instant hit. The movie shot to number one at the box office, as well as making over $14 million during its opening weekend. Even though the audience loved it, the critics didn’t as they gave an overwhelming number of negative reviews. However, the film soon became another cult classic. Cage returned to the world of action films for his role in ‘Gone in 60 Seconds’ that reportedly earned the actor $20 million, five times the amount he had been receiving before! 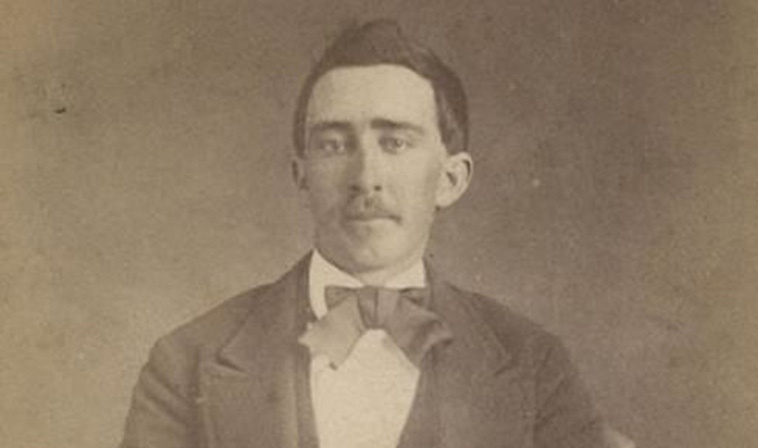 After the turn of the century, Cage showed the world he still had the same dedication to his roles as he always had. 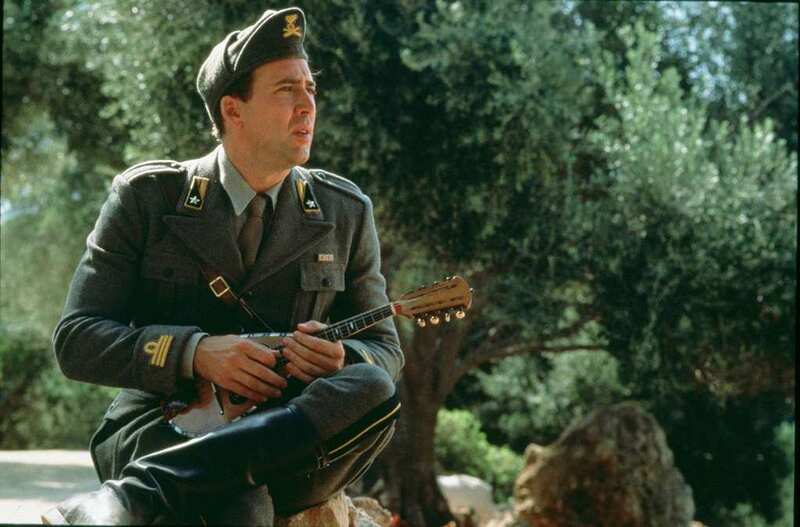 For his role as the title character in ‘Captain Corelli’s Mandolin’, Cage learned how to play the instrument having never picked one up before. Nicolas Cage has admitted to being a huge Elvis Presley fan, so it was fitting that he married his only daughter, Lisa Marie Presley, in August 2002 – he even had the wedding blessed by a voodoo priestess. 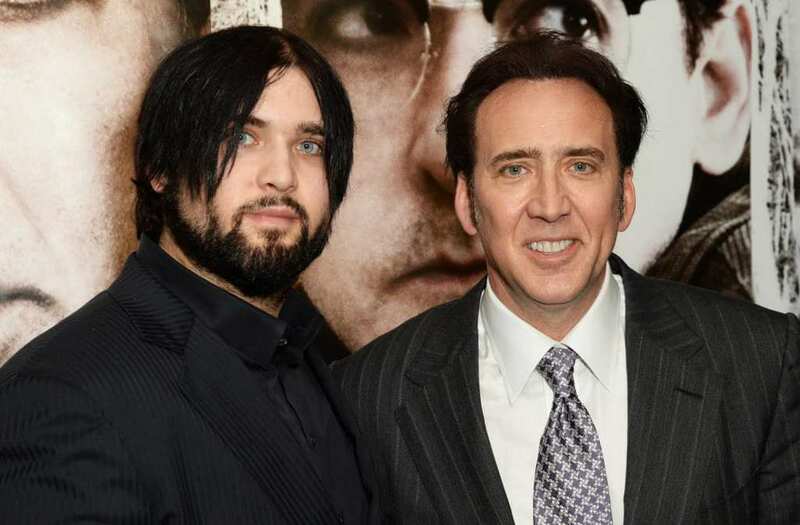 They say you should never meet your idols, and in Cage’s case, it may be that the phrase should be extended to their offspring too, as the couple filed for a divorce three months later, by November 2002. It took nearly two years for it to finalize, meaning that ending the relationship took longer than the time they were together. Cage took a break from acting and found himself the other side of the camera for his next movie in 2002. ‘Sonny’ was released, and starred James Franco as the lead. The film didn’t have a substantial plot which meant it was a complete flop at the box office, as well as receiving mainly negative reviews. However, Cage took a role two years later that would lead him to one of his biggest deals to date. Cage shook hands with Disney in 2004 as he signed up for the role of Benjamin Franklin Gates in ‘National Treasure’. The movie received mixed reviews, but the numbers spoke for themselves as it brought in over $340 million globally, more than three times the film’s budget. The sequel ‘Book of Secrets’ was released in 2007 which brought the franchise’s total to more than $815 million! Both movies were criticized, but the audience was left wanting more. A third film is rumored to be in the works. 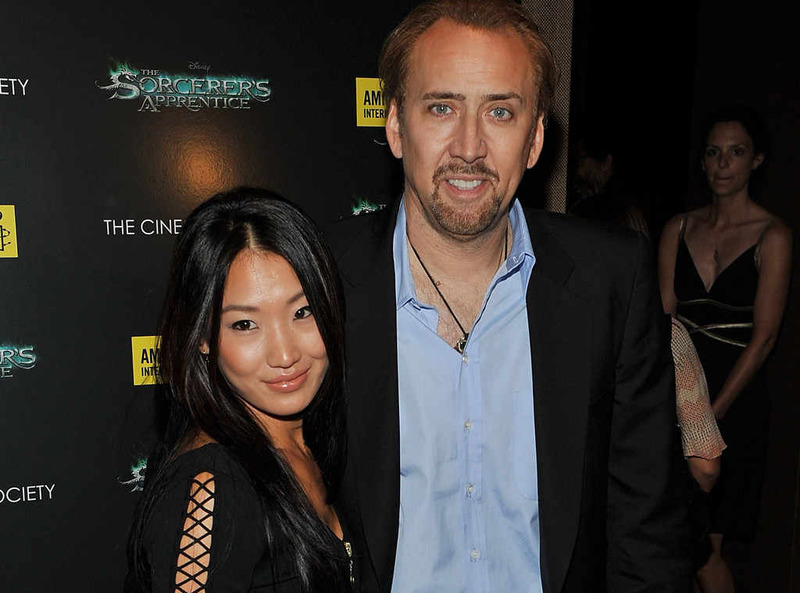 Nicolas Cage was determined to find true love as in July 2004 he married for the third time to wife Alice Kim. The couple had met when Alice was working as a waitress in Los Angeles and were married within two months. The pair soon welcomed a son into the world. Kal-El Coppola Cage was born October 3, 2005, and his name was another wink to his father’s love of superheroes. His name is inspired by Superman’s real name as the couple decided they wanted to name him something unusual. For Nicolas Cage, acting as the star role in ‘Ghost Rider’ was a dream come true as he had always had such a love of comic books. He even auctioned off a collection of 400 collector’s editions for over $1.5 million, as well as creating his own comic book named ‘Voodoo Child’ that he co-created with his son Weston. Even though the movie was a box office hit, it received mostly negative reviews as the critics named it the worst adaptation of a comic book to a film ever. In the same year as his superhero debut, Cage also decided to purchase a new family home, only, this home wasn’t one most people would jump at the chance to live at with their loved ones. 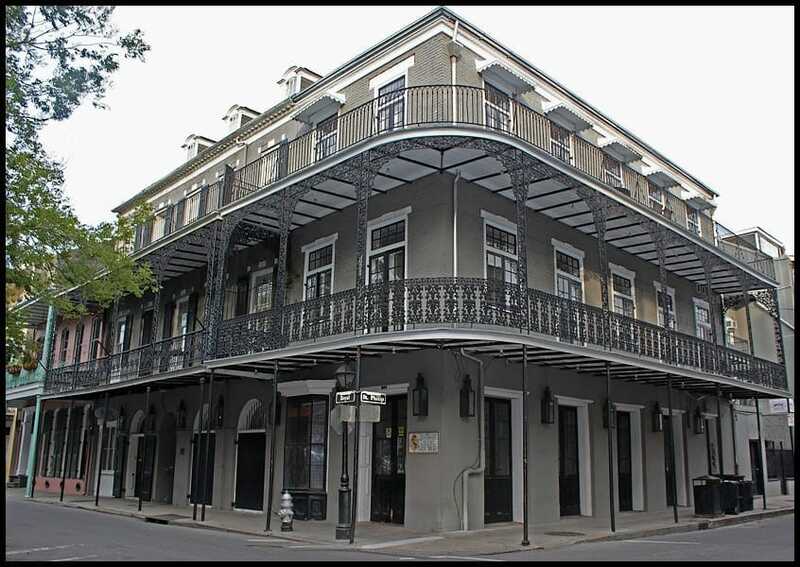 Cage bought the mansion that had belonged to Madame LaLaurie. If you’ve watched ‘American Horror Story’ you’ll have a good idea of what went on inside, but it has now been named as the most haunted house in North America. Cage wanted to use the house as inspiration to write a novel. 2007 was a big year for Cage as he also made an interesting purchase – perhaps to decorate his new home? The actor spent over $275,000 on the skull of a Tyrannosaurus Bataar. The actor had to pay big bucks to outbid his rivals (allegedly Leonardo DiCaprio being one) but didn’t realize the origin of the skull. Cage discovered it had, in fact, been stolen and was forced to return his purchase. He didn’t get into any legal trouble as he admitted he wasn’t aware it was hot property. The home and dinosaur skull weren’t the only odd purchases made by the actor over the years. 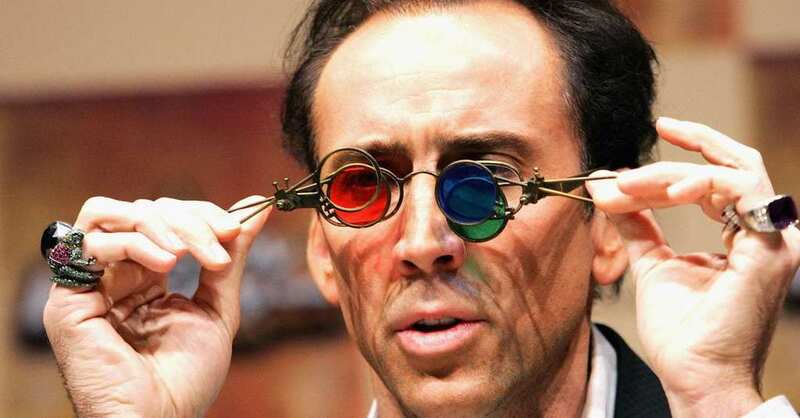 Cage has bought items such as two king cobras, two castles in Europe, an octopus, the original Superman comic, fifteen houses, and four yachts – because one of anything is never enough! However, the actor is rumored to be struggling financially due to his spending sprees as he is quickly running himself into debt. Perhaps it might be time to downsize the collection? With the use of memes growing in popularity, Cage quickly found some of his more expressive facial expressions and eccentric outbursts in movies to be at the forefront of any good meme-er. A favorite photo of choice is a still from ‘Vampire Kiss’ that is often captioned with ‘you don’t say?’, as well as a Tumblr page dedicated to putting his face onto many other famous faces, such as Ellen DeGeneres, Queen Elizabeth, and Willy Wonka. Nicolas Cage has been one to be eccentric, but during 2010 he sparked global questioning when he purchased his plot of land for him to be buried. It isn’t unusual for people to pre-purchase their grave sights, especially if they want somewhere very specific, but the actor took it one step further with his purchase. The plot can be found in New Orleans at a 200 year old cemetery, but his addition has raised some eyebrows. 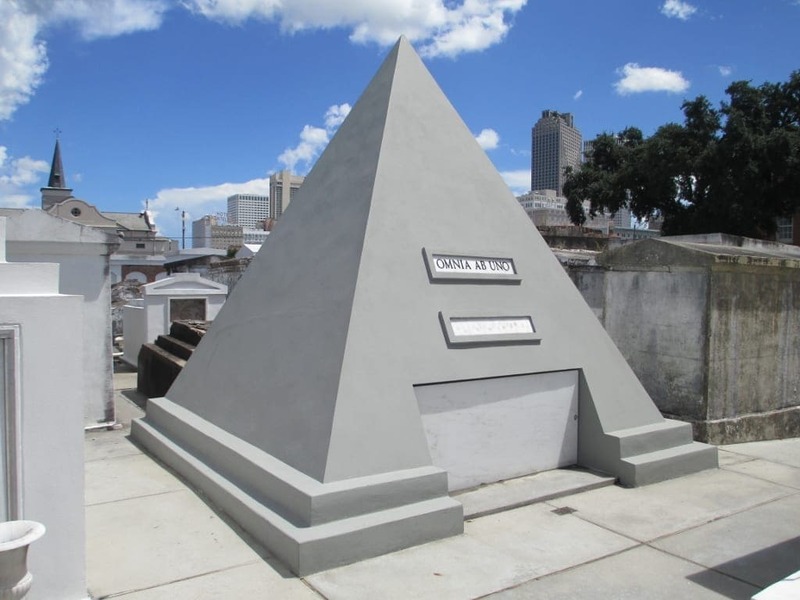 The actor has, in fact, had a 9 foot tall stone pyramid built at the site of his burial plot. Cage has raised many questions, such as who let him do it, and just why he chose a pyramid. Some theorists have rumored that the actor is a member of The Illuminati so is using the pyramid as a symbol of his dedication. Others also believe it is a tribute to his ‘Nation Treasure’ movies, or to be close to a Voodoo Queen who has been buried in the cemetery. His burial site wasn’t the first time that Cage was rumored to be part of The Illuminati either. Theorists have discovered a photograph of a man from the 19th century that they claim looks identical to the actor himself. The reason they believe it is Cage is because everyone else photographed in the album were named, but the subject in the picture wasn’t. 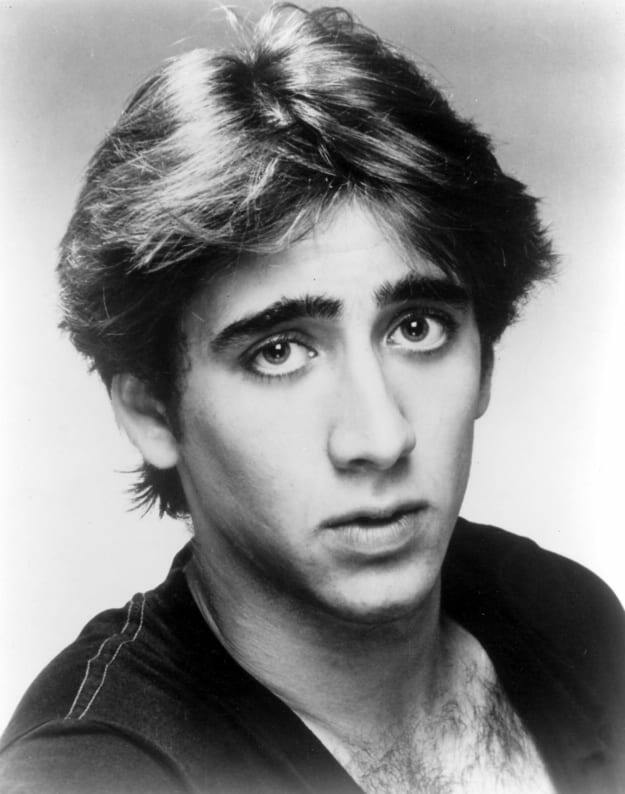 The theory states that Nicolas Cage became a vampire who sold his soul to The Illuminati for eternal youth. It’s out there, but could be true! 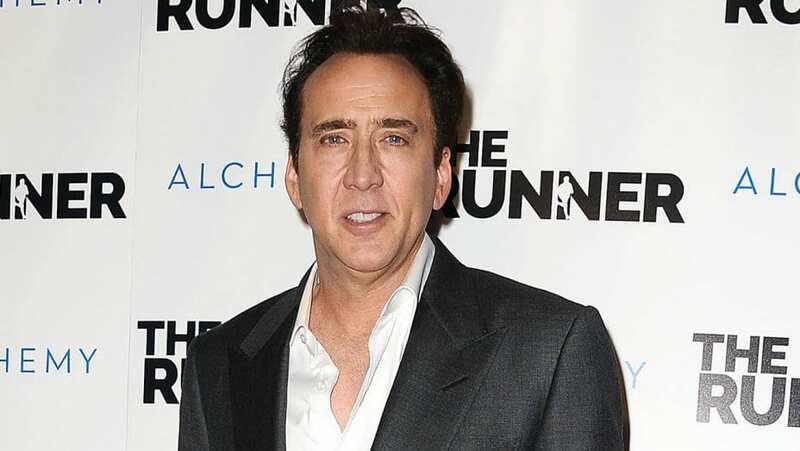 During 2009 Cage, unfortunately, starred in another movie flop when he took the lead in ‘Knowing’ as the movie received a large number of negative reviews. However, late in the same year, the actor was able to regain his acting success after he starred in ‘The Bad Lieutenant’. The crime drama was just what Cage needed for his career as it was a huge success both at the box office and with critics everywhere. Sadly the success didn’t last, as two years later ‘Season of the Witch’ was a disaster. During 2011 Nicolas Cage found himself in an extensive court battle with his ex-partner Christina Fulton over their son, Weston’s, welfare. Weston had been admitted to a psychiatric ward after an altercation with a previous wrestling coach of his. Nicolas and Christina were battling over who had the right to care for their son and make decisions for him while he was admitted to the ward. Christina publicly announced how she believed Nicolas wasn’t caring for their son adequately. However, in a twist, Weston spoke of how he wanted nothing to do with his mother. He admitted that the issues he had gone through in his life were as a result of the relationship the two shared. Weston spoke of how he wanted his dad, Nicolas, to be the one there for him. It appears as though the father-son relationship was stronger than Christina could have imagined! Christina blames her ex-partner for brainwashing their son into believing what he was saying. At the beginning of 2016 Cage found himself involved in more divorce proceedings. 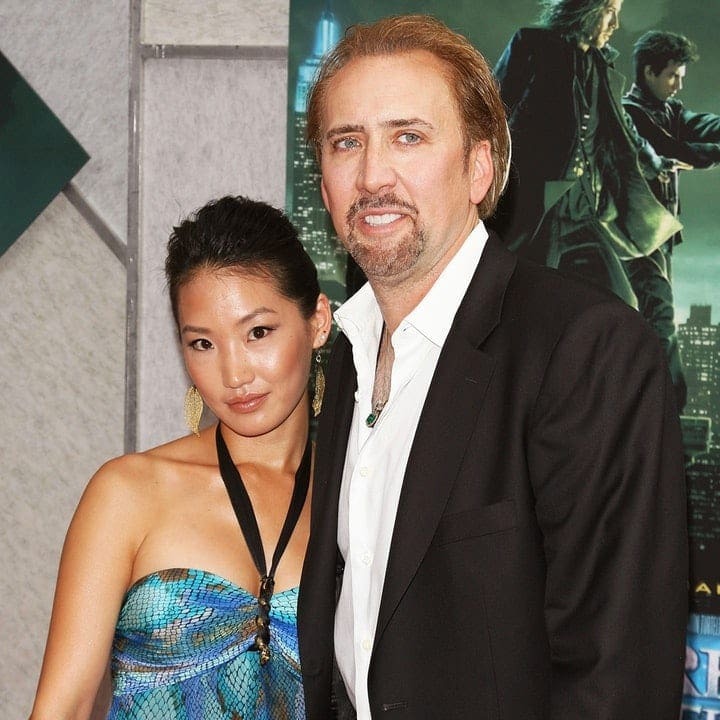 Nicolas Cage and Alice Kim separated after they had been married for over a decade. It is rumored that Alice had been cheating on her husband with a friend of hers before the couple split up, but that isn’t confirmed. This is due to the fact that the actor wants the public to judge him on his acting work alone, and not have their views changed due to his personal life. Nicolas Cage’s latest film to hit the big screen is ‘Mom and Dad’, a horror that sees Cage playing the leading father role. The movie was released in September 2017 which was met with a fairly positive audience. Compared to the box office flops that cage had unfortunately been involved in during recent years, it seems as though he may have given the critics something they wanted. The next movie set to be released is the thriller ‘The Humanity Bureau’ which is due to hit screens in 2017. Nicolas Cage has been continuing to star in many films over the years, with the upcoming release of ‘Army of One’ giving the actor a chance to promote his latest movie in a rather unusual way. 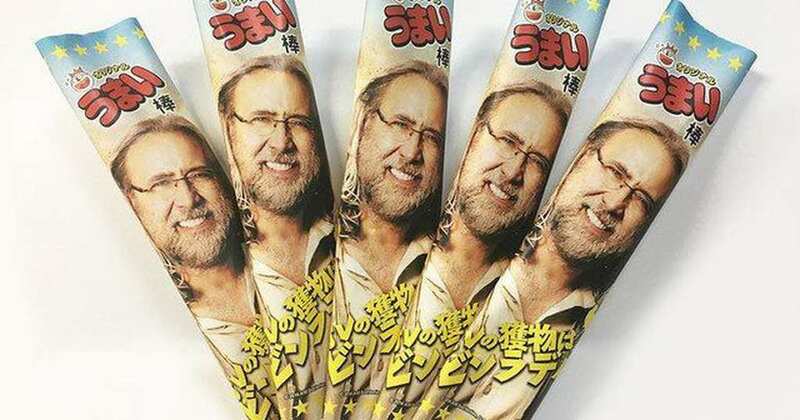 Cage’s face has been used on the packaging of a Japanese snack that has since been named a ‘Nicolastick’. However, the actor has released that he never authorized for his face to be used and that the company produced the packaging without permission.